Many kids had their first week of school last week, as did ours. However, as homeschoolers, we can be a bit creative in how we spend those days. 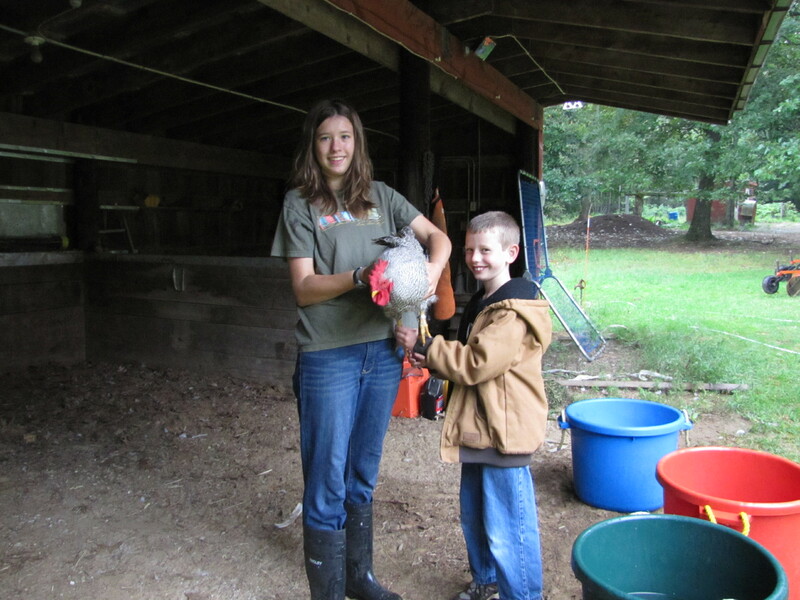 Last week, from Tuesday through Labor Day, the kids hit science hard… animal science. 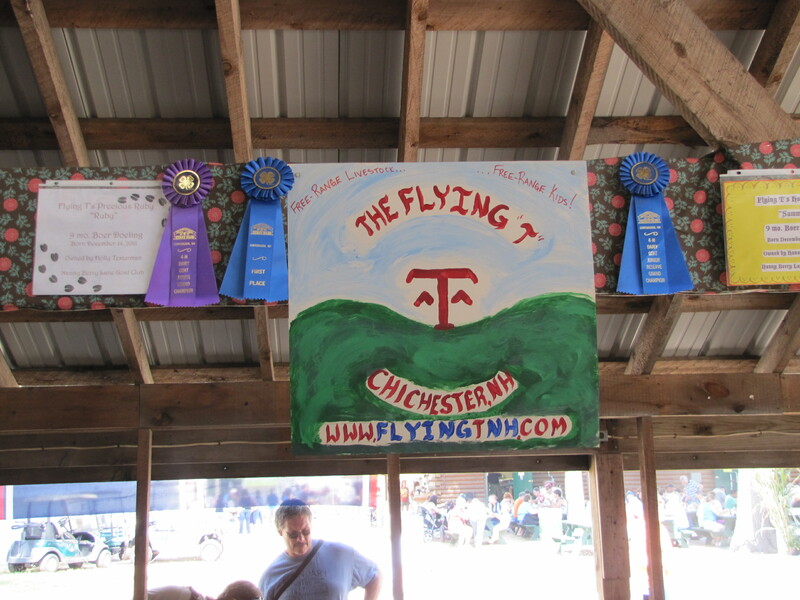 They did this through their participation in the Hopkinton State Fair in Contoocook, NH. This was the capstone event after a year of hard work with animals, crafts, and other 4H and farm endeavors. All that effort really paid off! Our 8yo son’s big project this year has been his chickens. If you’ve read our blogs, you know that he runs the egg business on the farm. 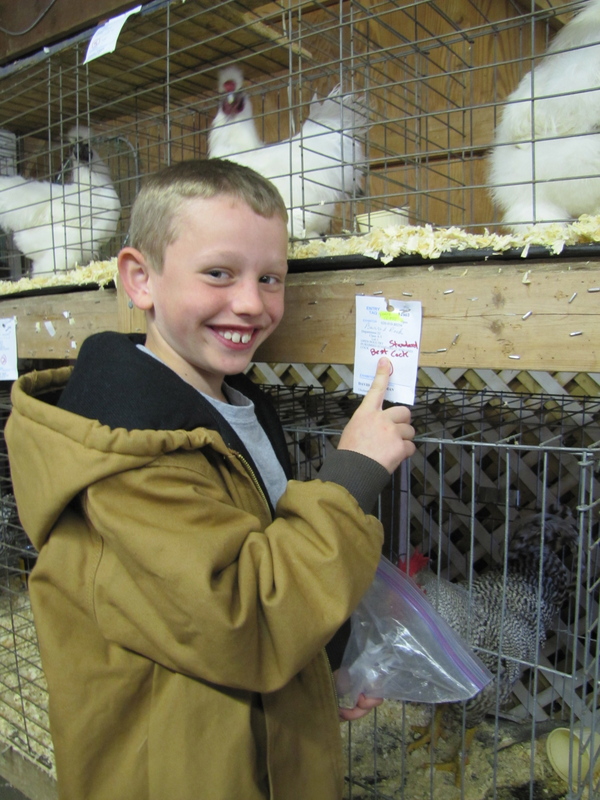 Since he is too young this year to show animal projects with 4H, he entered his barred rock rooster in the open class… and won best in show! We’ll add pictures later of him holding his rooster and ribbon, but here are a few we’ve already downloaded. Sister helping to get the rooster washed for the fair. His sisters also won blue ribbons for their duck pairs, with Hana winning “Best pair of ducks” overall. Friday was the horse show, and Holly was blessed to have her coach, Janine, from Gelinas Farms volunteer to spend the day with her. 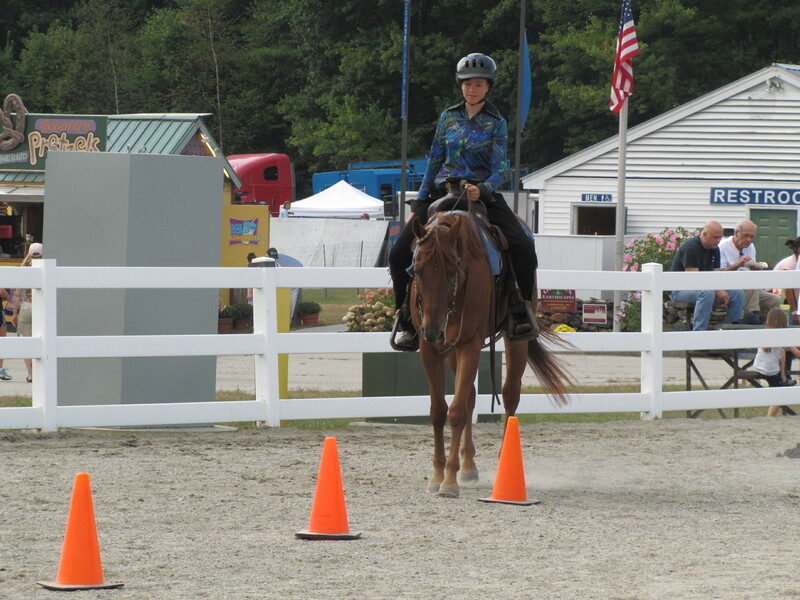 Janine’s biggest challenge was not helping with getting Zip ready (4H rules state that the kid does all the work), but she really helped out with last-minute coaching tips. All that coaching made a difference, and Holly ended up winning Grand Champion for her class! 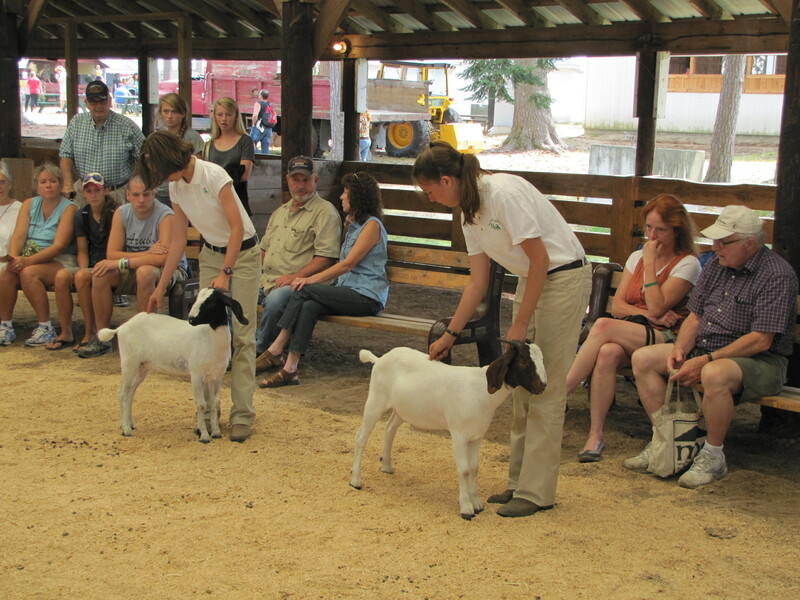 Saturday was the 4H goat show, and the girls really enjoyed doing that for the first time – they earned blue ribbons in several events, with Holly and Ruby edging out Hana and Samy at the end. 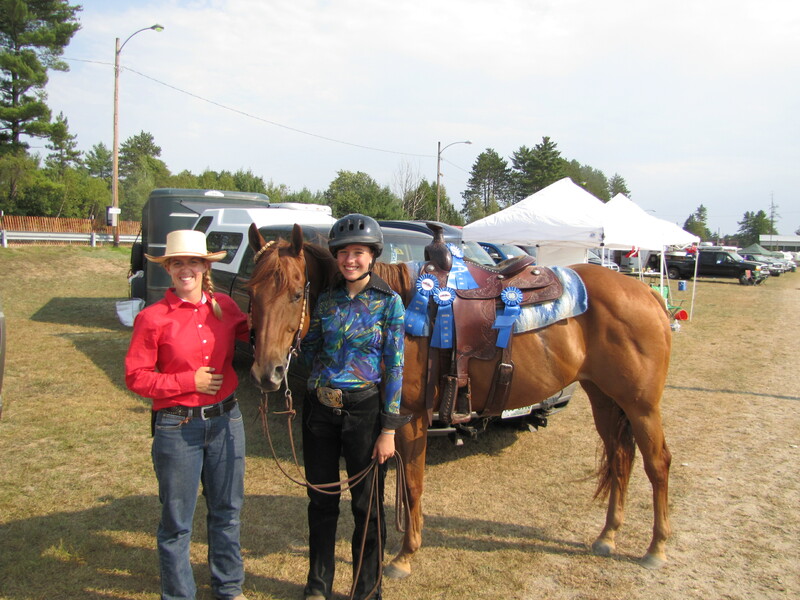 Sunday and Monday topped off the long weekend, with pack and obstacle courses, knowledge tests and a quiz bowl, volunteering at the 4H exhibits and food stands, and lots of feeding, cleaning, and talking to the public. The kids had earned enough ribbons to fill their walls (and enough premiums to treat themselves and their animals to some new gear). By the time we pulled out of the fair Monday evening, we were all ready for a rest!